Double Sided Sheep Hayrack on Wheels. 4ft Long x 650mm Wide x 850mm High. 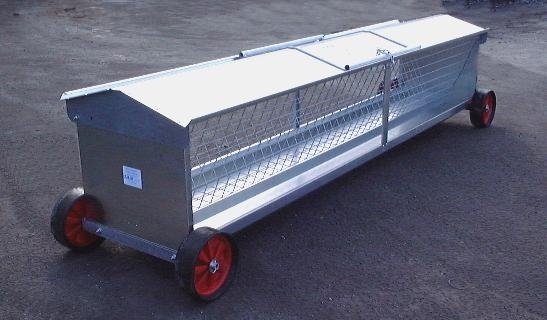 Pre galvanised sheet body, hot dipped galvanised hayrack and axels and 250mm dia plastic wheels.2440mm (8ft) shown in picture. Delivery charges for this product will depend on your location, quantity ordered and may be free. Please email for details.